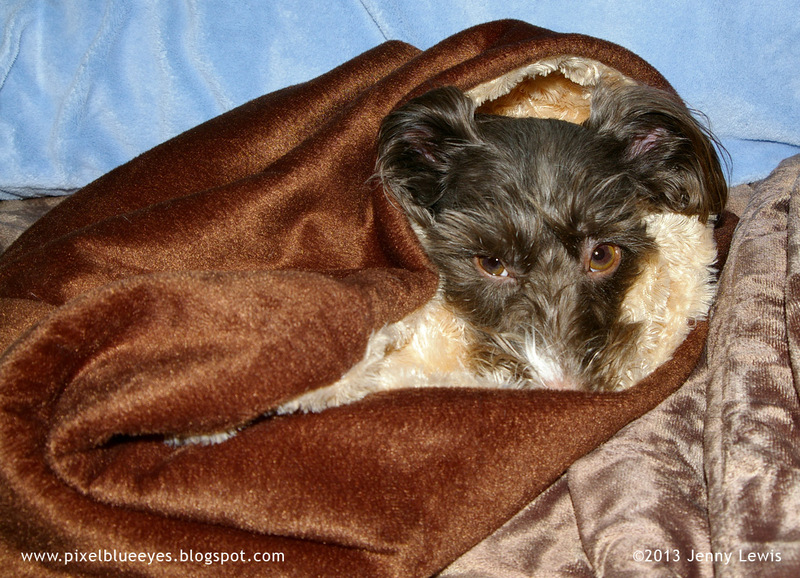 Snuggly blankets are one of the best things in the world! Come join in on the fun with the Wordless Wednesday blog hop, sponsored by Blog Paws! See below to find out how, and don't forget to visit the other blogs below to see what they are doing. Dear uncle Happydog, today marks a week since you left us. We all miss you so much! Little Dixie, our sweet sister that came to live with us just 9 days before you left...well she misses you too. This photo was taken after Grammy & Grampy had to take you to the vet because you were so sick the day before God came to get you. She and I were both in Mommy Jenny's arms as Peanut Pumpkin Pie, Auntie Helen, and us girls watched you leave that day, not sure if you would be returned to us. Dixie was just as distraught as any of us, and after we all left the window, she ran back to the window and leapt up to this perch to watch for you to return. It broke our hearts to see that, and yet filled us with joy at how much she loved you so quickly. That is just the kind of boy you were Happydog, everyone couldn't help but love you. We were blessed to have you come back that day, and God gave us one more night and morning with you, but you let us know that next morning that you were being called home. I want you to know that Dixie and I are getting along famously. I am no longer uncertain, and we have slept on the same bed together, we can play close by each other, we've even had a time or two of barking at the neighbors together, though it's still not the same on the back deck without you. Dixie and I have even chosen to lay in our big round playpen at the same time, you'd be so proud! 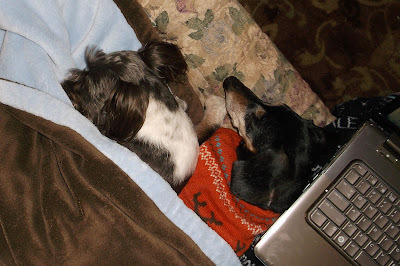 Dixie is helping to heal Grammy & Grampy's hearts and I am so very glad of that. All 3 of us girl pups are doing that. Today I laid up against Grammy's left hip while she was writing, just like you always did. She said I was taking up where you left off, and I was so honored that she saw what I was doing. I promise to help take care of things while you are away. Well, I'd better go now. I want to introduce Dixie to some of more of my friends. I've got some really pretty photos of her to share. I love you Happydog. 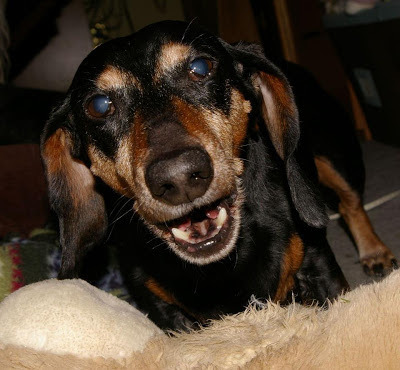 I lost one of my best friends on Tuesday, Feb 19th...my beloved uncle Happydog, my Grammy's little boy. 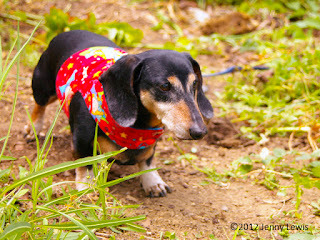 Happydog was 3 days away from turning 15 yrs old. In fact, TODAY IS HIS BIRTHDAY! I've known him since the very first day I came home with Mommy. He and I were instant friends. For Thankful Thursday and what I will now call Forever Love Friday, I wanted to share some of my favorite photos of him over the years, plus a very special video of him you will just love. I love you uncle Happydog! I will miss you forever, but I know that one day we will be together again. Happily playing with his Buddy Stuffed Dog that Grammy gave to him years ago. Happydog loved that special bear of his. Grammy, his Mommy, gave it to him. He would play with it, chew it, toss it, wrestle with it, love on it, sleep with it. Look at that face full of joy as he barks about it! Happydog loved sitting out in the yard and just observing. Happydog loved to just sit in the yard, or on the deck, and watch the world go by. This is when he was about 3-4 years old. He was SO handsome! Peanut Pumpkin Pie and I would watch over him. 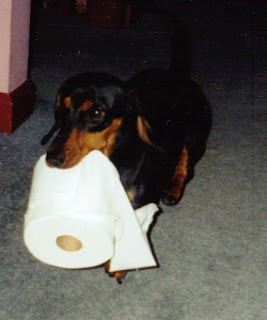 Happydog had his fair share of health problems at times. Us girls would always watch over him during those times. See how we have him 'surrounded' with love? We did that a lot. 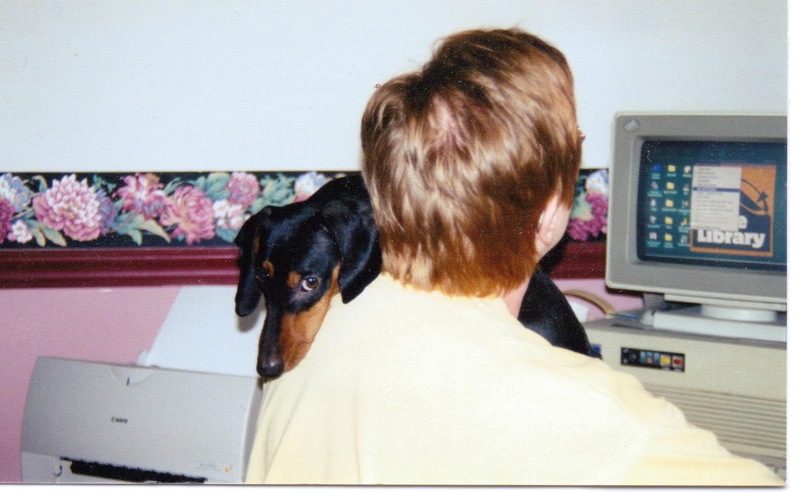 Happydog was my Grammy Jaye Lewis' writing partner. This was way back in 2000, when Grammy had a dinosaur computer. See that sweet look on Happydog's face? He was loving being on his Mommy! some much needed toilet paper! Happydog at age 14 yrs old in the garden. 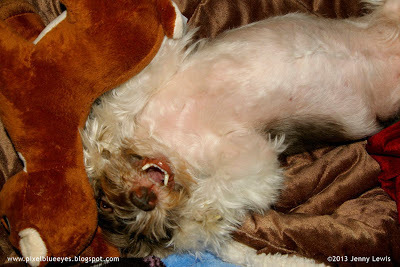 Happydog and I loved being silly together! 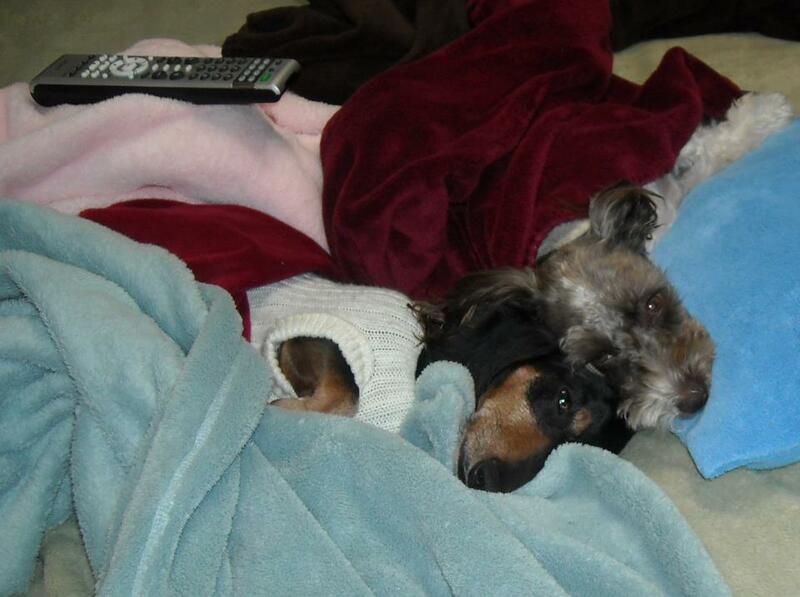 This is us entertaining my Mommy (his sister) when she had an injury back in 2009. We made her laugh all the time! As Happydog got older, he still loved going out in the garden. Here he is at 14 yrs old, still looking for those nummy worms in the ground. 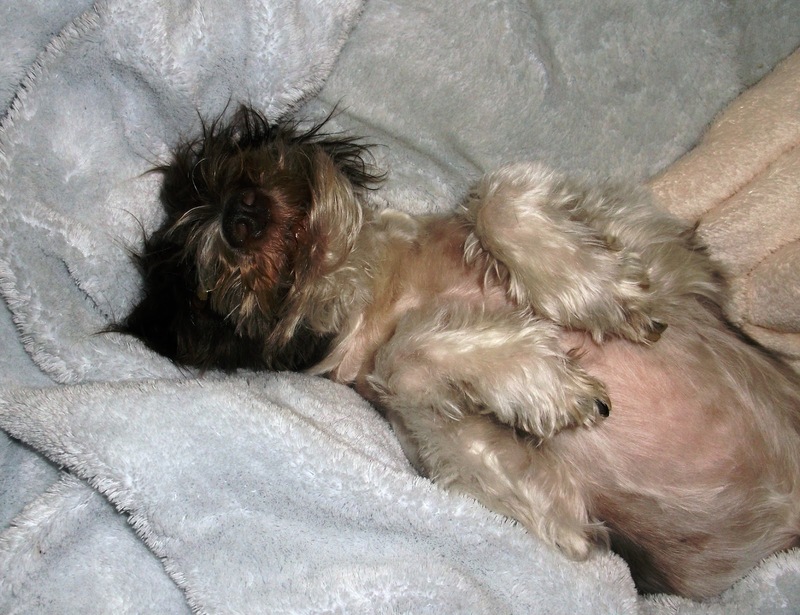 One of the things I most loved to do with Happydog was snuggle with him. Any excuse was a good excuse to cuddle under a blanket with sweet Happydog. I've known him my whole life, and so we were always together. Oh, how I miss him! 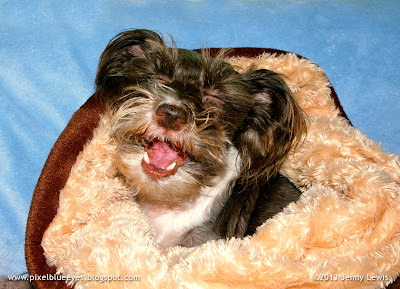 This is one of mine and Mommy's favorite funny photos of Happydog. She took it before I was even born. He loved to sing and bark and howl. Since today is his Birthday, I imagine he is singing "HAPPY BIRTHDAY TO MEEEEEE!!" Forever loving, ever faithful. That was Happydog. Can you see how much I loved him? 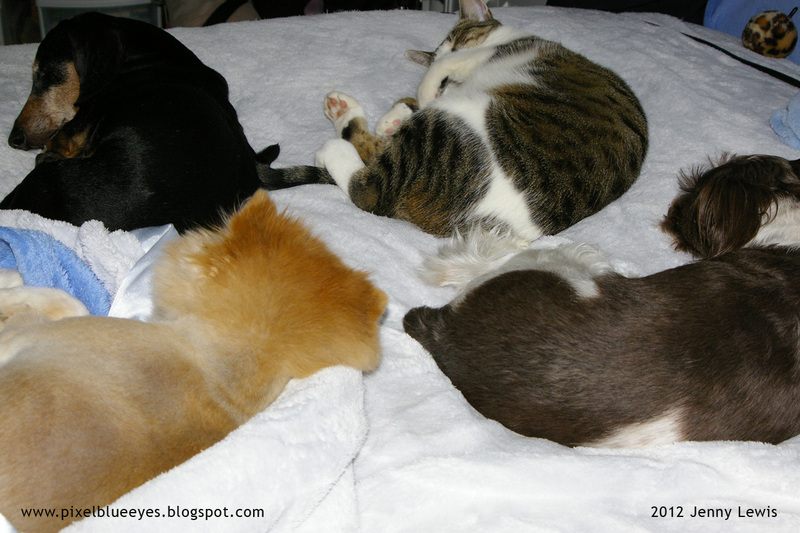 This is a typical bed in our house. Mommy was working from home on this day last year, and let's just say she didn't have much room to try and work if she'd wanted to use the bed. This just cracks me up!! My cousin Peanut Pumpkin Pie is in the lower left, Happydog upper left, me in lower right and our cat/dog Noel laying like a 'big dog' in the upper right. I'm going to miss those dog piles with Happydog. I treasure every memory I have had with him. I miss him terribly. I cling to the love we had, I cherish that I still have my beloved Peanut, Mommy, my Auntie Helen, my Grammy and Grampy, my new Auntie Dixie, that my family adopted two weeks ago, and our kitties. We all miss Happydog so much. I know he is in heaven now with my uncle Jessie Dawg and my sister Morgan, playing, running, barking, and making God and the angels laugh! He is at the Rainbow Bridge, waiting for us, smiling, wagging his tail and saying, "Don't worry, I am free of pain and illness. I am made whole again. I am a new dog!" I want to leave you with this beautiful video that my Grampy made this week of Happydog. He captured the footage just a few short months ago...little did we know just how incredibly poignant it would be today. My friends, I took part in this wonderful Thankful Thursday blog hop to share Happydog's life with my friends. 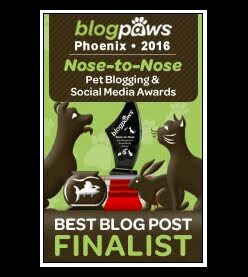 Won't you see what other pet bloggers are thankful for by clicking a link below? If you want to share your own thankfulness, the instructions to take part are below. Mommy has today off from work, so last night, she suggested that with all the stuff going on with worry over my uncle Happydog, who has been very ill, that maybe we should have a slumber party to cheer ourselves up. 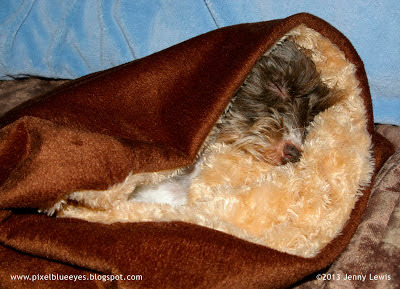 I thought that was a brilliant idea, so we pulled out my brown sleeping snuggle bag. I just LOVE my snuggle bags! 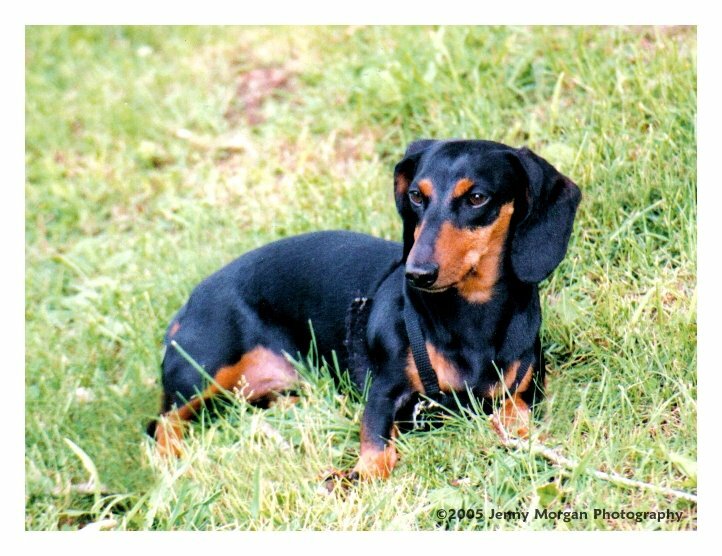 This is my brown and cream one. Mommy got on snuggly britches (P.J. 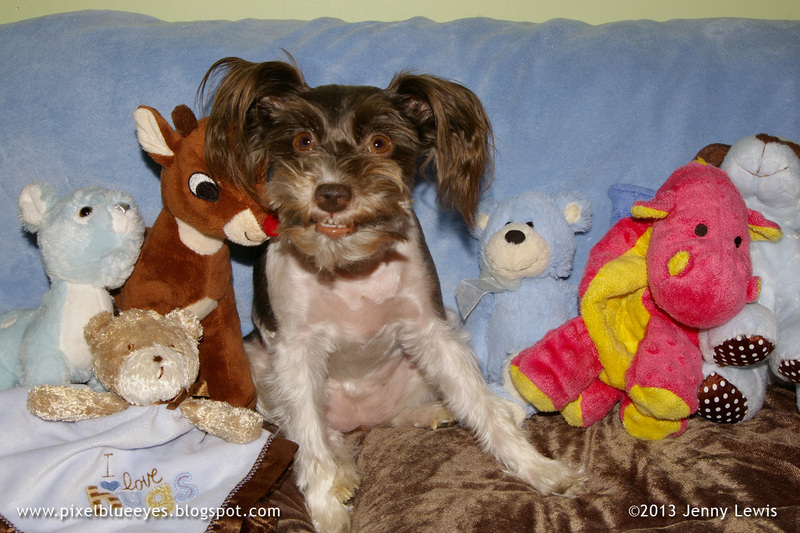 's that are fuzzy & soft), she gathered some snacks for us, and some of my favorite toys. Sometimes you just need to play and do something nice like this, especially during stressful times. We had a little snack, then I jumped out of my bag because I just felt like exerting some playful energy. I grabbed two of my play toys Rudolf and Blue Dog, and started playing like a big dog! I often get so excited from playing that I have to roll on everything...so I did. Do you ever just love your toys, your playtime or your comfy bed so much that you just want to roll all over it? Well, I was sure feeling it. I even rolled all over Mommy...I certainly didn't want her to feel left out! 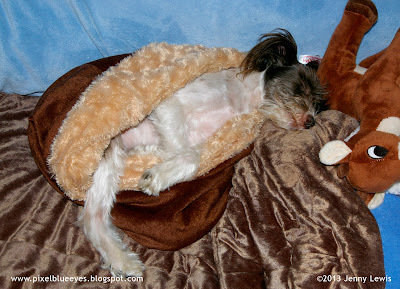 After a hardy round of wrestling with my stuffed toy friends Rudolf and Blue Dog, and rolling on everything on our big bed, Mommy tucked me back into my snuggle bag. I was feeling super good now! We worked on some of the doggie posters that Mommy makes each week for the pets up for adoption at our local animal shelter. We talked with joy about how so many of them have found loving homes, like Thumper, formerly Mr. Schnauzer, who found his loving Daddy on my Facebook page after sharing his poster! All the success stories made me smile even bigger! Slumber parties can really bring out the silly in you! At one point, Mommy was working on this one dog's photo and he sort of looked like a hound dog. 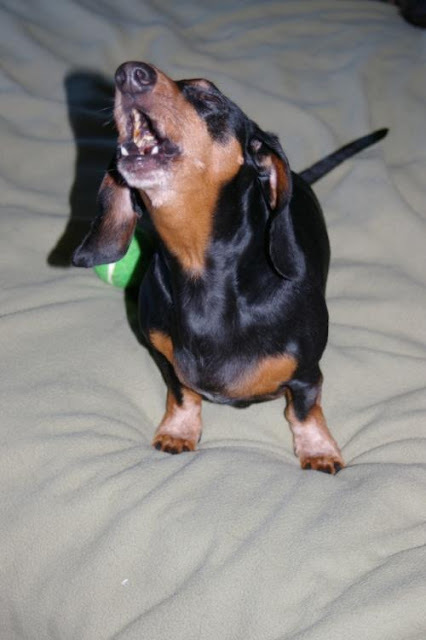 I was asking Mommy for more treats, and so she joked that I'd have to "sing for my food" (or treats, as it were), so I immediately started belting out my best rendition of "You Ain't Nothin' but a Hound Dog"! I know she wasn't expecting THAT! I had her laughing big time! I think I'll take it on the road one day..."the Singing, Pet Blogging, Social Media 'Hound' Trick Dog Pixel Blue Eyes"...that name's not too long, now is it? We stayed up until the wee hours of the morning, laughing, snuggling, working on posters, and talking about my dear sweet uncle Happydog. As midnight rolled past, I got super sleepy tired. I snuggled even deeper into my sleeping bag with heavy eyelids. Mommy and I prayed that Happydog would get better and want to eat again. We prayed that all our friends were resting in comfort and surrounded by loved ones, both two and four legged. And we pray that all the shelter dogs and cats we are trying to help, will find loving homes so they too, can have snuggle cuddles and lots of love! 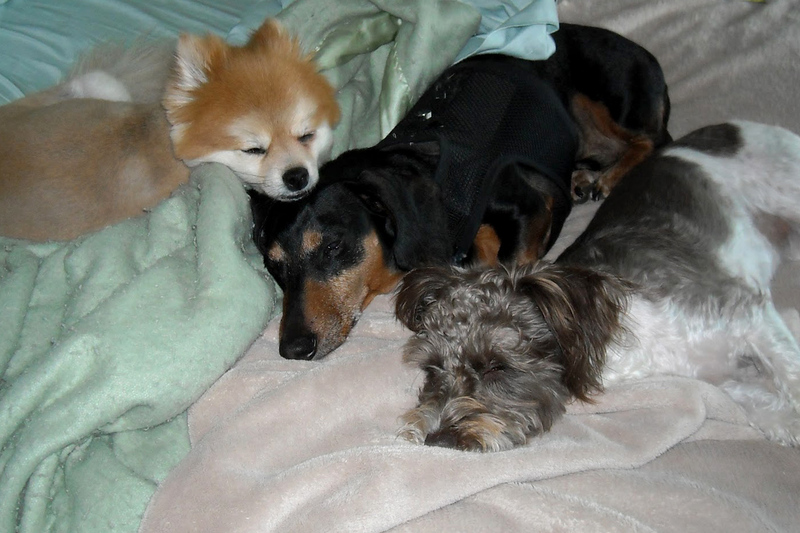 As I drifted off into a sweet sleep, I began dreaming of a day when all dogs and cats have loving, wonderful homes. I dreamed of meeting all my friends in person one day. And after the loss of another beloved doggie friend earlier this week, I dreamed of seeing all my loved ones and friends who have passed on and are waiting at the bridge in heaven...I love you all my friends! Slumber party aftermath...looks like Rudolf had one heck of a good time at my slumber party too! Did you have fun this weekend? I'd love to hear about it. 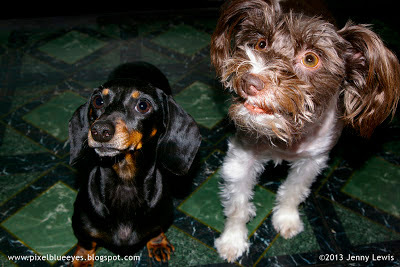 This, my friends, is a blog hop sponsored by Alfie’s Blog, Snoopy’s Dog Blog, My Brown Newfies and Luna, A Dog’s Life…! If you'd like to join in and share your weekend adventures, stories and fun, just follow the instructions below all my friends' links to hop along with us! 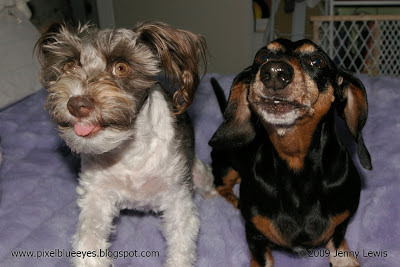 Don't forget to visit the blogs below to see what mischief they might have gotten into. Thank you for visiting! From Left to Right: Razzle Dazzle, Sir Hugs-A-Lot, Rudolf the Red Nosed Reindeer, Pixel, Baby Blue, Pink Dragon & Blue. This is a Blog Hop! 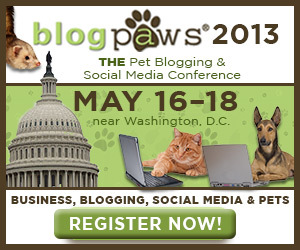 Sponsored by my friends at BlogPaws. Want to join in or just want to see what my other pet blogger friends are doing? See the links and information below. Pixel asks "Who Let the Dog Out at BlogPaws??" My friends, you all know how much I love doing my tricks right? You know how much I love sharing my 'tails of adventure' here on my blog, Facebook and on Twitter right? 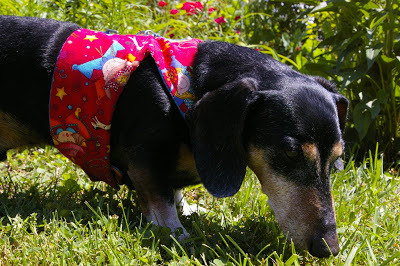 Well, I must share some very exciting things with you on my special "Who Let the Dogs Out" post that involves dog tricks, blogging and adventure! Well, Tillman was at BlogPaws 2012 last year. BlogPaws is a fantastic once a year event where pet bloggers and social media moguls like myself, come together from all over the country and beyond for a weekend seminar full of information, fun and opportunities to meet fellow bloggers and animal lovers face to face. 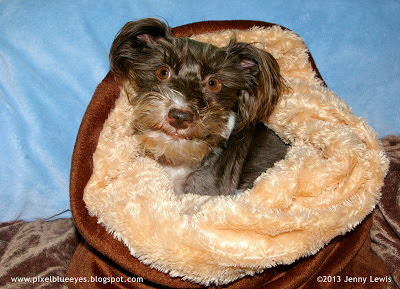 Tillman aired a special two part series on his experiences at BlogPaws last year. 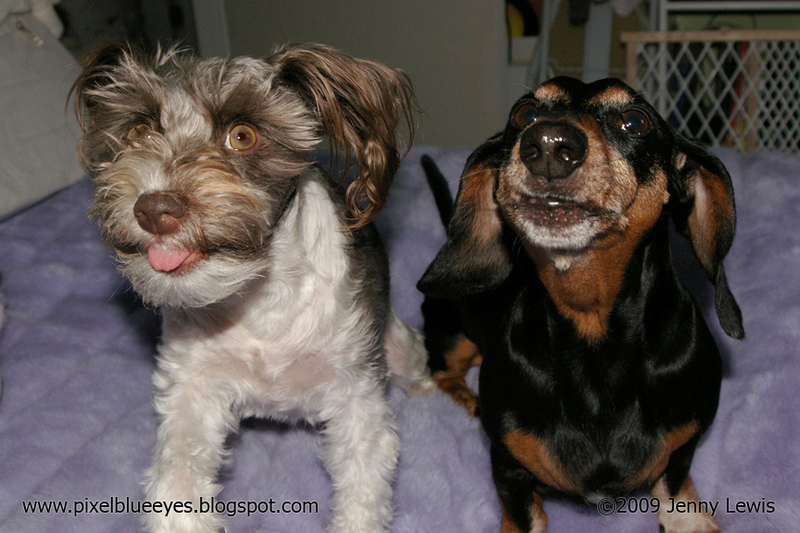 One of my favorite parts was when they interviewed bloggers and their humans who attended the 2012 conference. I imagined myself there, getting to be in the middle of all that wonderful activity, meeting new people & pets, and learning lots of new things to make my venture grow! Of course, Tillman gave demonstrations of his amazing abilities, and had some other special features. One of my favorite features was on the importance of dental health. I bet you didn't know that Mommy brushes my teeth regularly. That is why my teeth are so pearly white when I smile. 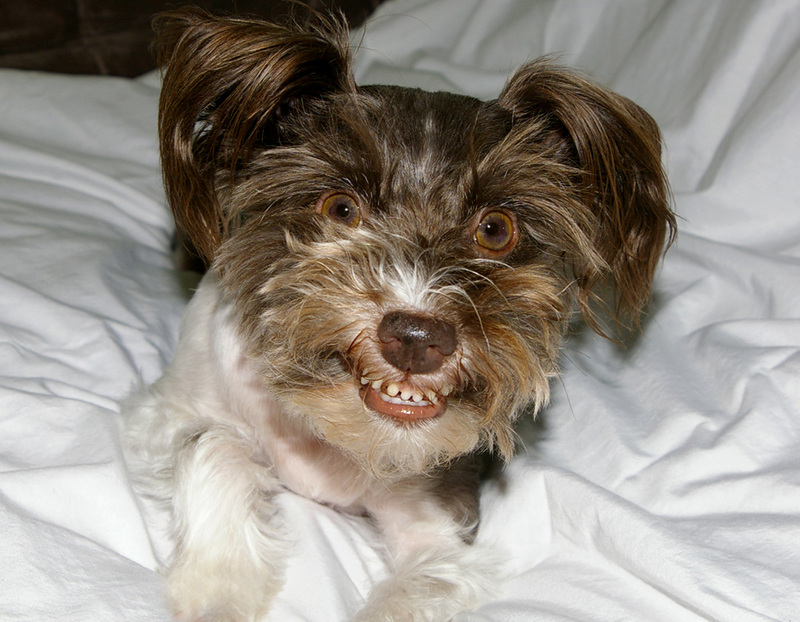 And you know I LOVE to smile! We feel it is super important for a healthy dog life. Tillman loved BlogPaws so much that he's hosting a "Who Let the Dogs Out at BlogPaws" contest and is giving away a full 2013 BlogPaws Social Media and Pet Bloggers Conference Registration Pass PLUS a FREE Hotel Room at the Sheraton in Tyson's Corner VA. That is an amazing giveaway worth almost $600. When we heard that they were giving away such a wonderful gift, well I was just beside myself, and could hardly think of anything else! 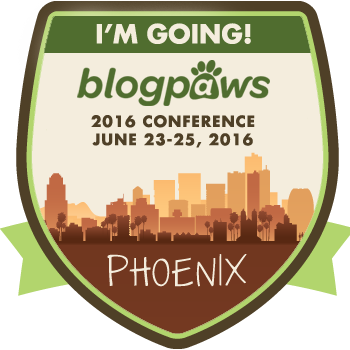 Mommy and I have wanted to go to BlogPaws for a loooooonnnngggg time, and this year it is pretty close to home. 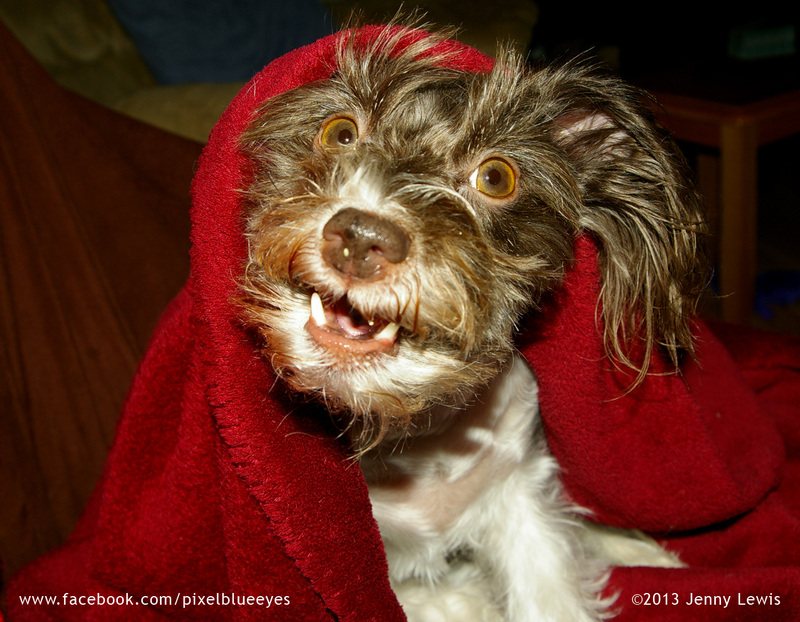 If Mommy & I could go to the 2013 BlogPaws conference, I would love to learn about how to really market my blog and get my "Pixel Blue Eyes" brand out there. 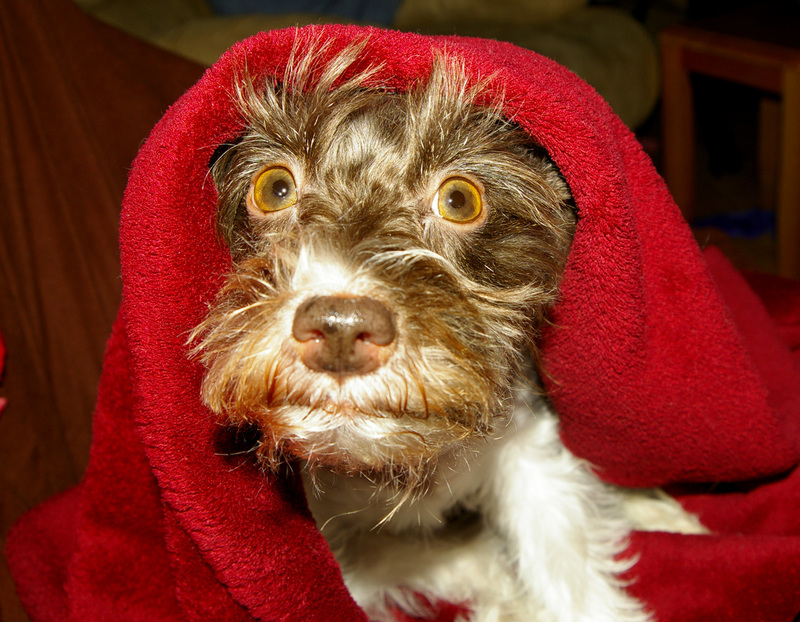 I can't stay under this blanket forever you know. I'd love to learn how to make an income with my online presence...how to turn it into a business, so that Mommy doesn't have to work so much. I always like learning from others. 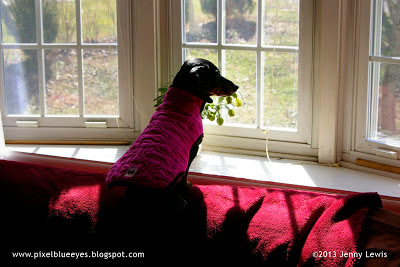 Mostly, I really want to meet fellow pet bloggers, social media pets and people in the business. I love making new friends and connections! 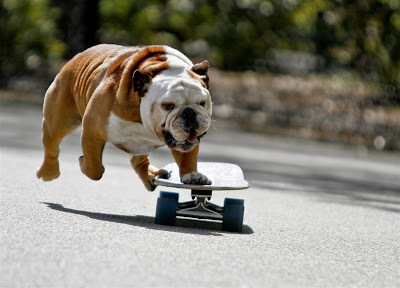 Wish me luck friends, and don't forget to look up Tillman's fun show "Who Let the Dogs Out" on the Hallmark channel. Maybe one day you will see ME on there...I do know several fun and unusual tricks, so one can always hope. 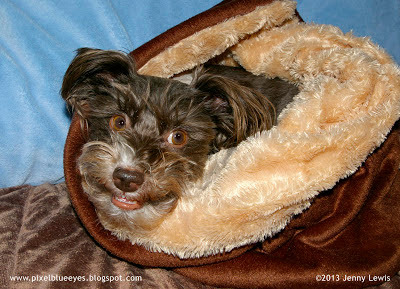 Check out some of the other pet bloggers in Tillman's blog hop or join in on the fun. To get full instructions on how to enter, go to Tillman's website and read his post on the BlogPaws Contest which ends tonight at midnight. Make sure to tell them that Pixel Blue Eyes and Tillman sent you!